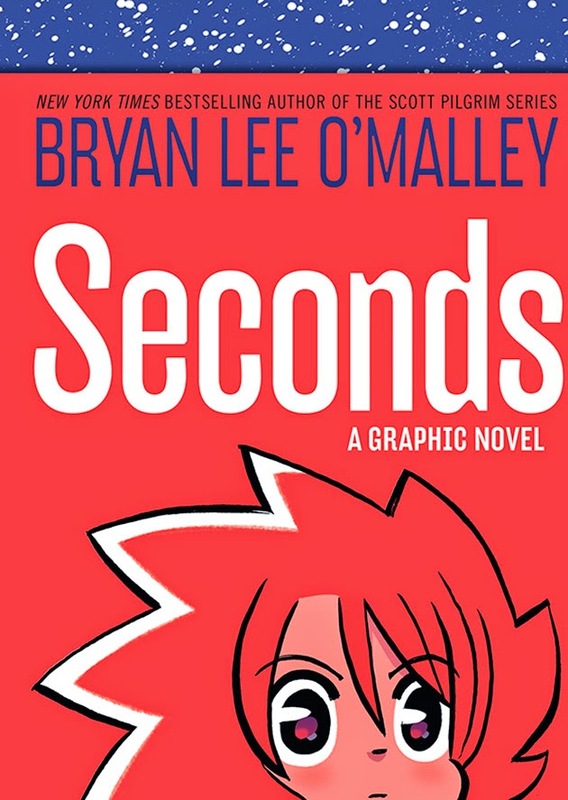 This past week we have been given the gift of Seconds from Bryan Lee O'Malley. O'Malley is the creator behind the beloved Scott Pilgrim vs. The World and has remained relatively quiet since its conclusion a couple of years back. He was clearly hard at work at his next creative endeavor as Seconds debuted this past week. 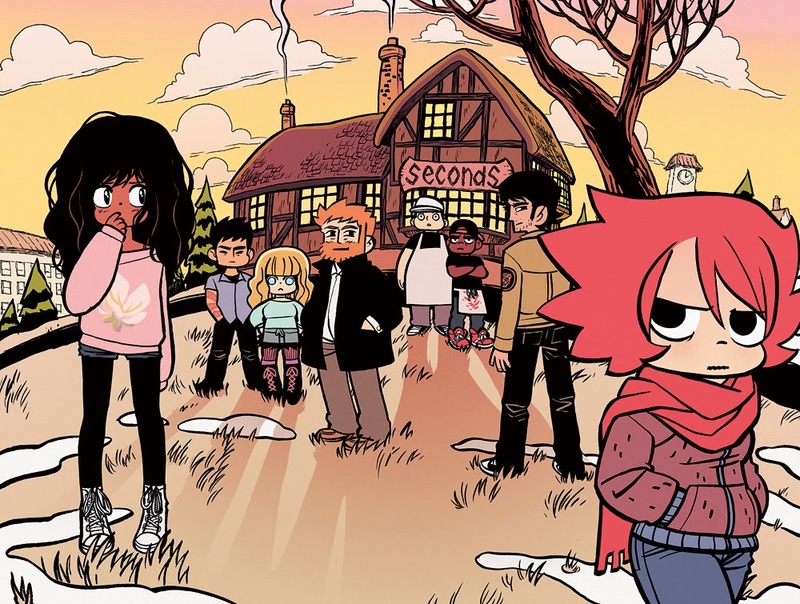 In many ways Seconds feels like a fitting for a follow-up to the phenomenon that is Scott Pilgrim. Seconds revolves around the life of chef Katie, who is the head chef of the successful restaurant Seconds, but is attempting to open up her own restaurant as she has already earned a reputation as a terrific chef. Without reason, her world is brought to a sudden halt as her ex appears, her current relationship crumbles, and doubts about her new location begin to emerge. Conflict lies at the center of this story. The primary conflict is between Katie and the spirit of Seconds. The spirit appears to be a girl of a similar age, and wants to protect Katie and Seconds. When granted an opportunity to rewrite the past, via a notepad and special mushrooms, Katie attempts to fix the mistakes she made in her past relationship. This undoubtably unleashes a string of multiple futures for Katie in which she must navigate and learn from. As in life, Katie must understand that not all negative things should be reversed. She grapples with relationship decisions, professional decisions, and more as she attempts to write the perfect future for herself. She is meddling with a power that she doesn't fully grasp and when she accidentally brings in a rival spirit to Seconds, her futures begin to become more and more surreal. O'Malley does a masterful job asking the big questions that we face on a daily basis. What would I do if I had a second chance in this situation? What would the ramifications be if they went the way I thought they should be? Seconds is a beautiful read that informs us all that there is nothing wrong with making mistakes. Nobody is perfect, but if we follow our heart and focus on what is important to us and the one's we love, despite some pain, things will work out in the end. Seconds, in many ways, felt like a Hayao Miyazaki movie geared towards an older crowd. Strong female character, goes through a tremendous personal growth, dueling spirits, and lots of heart. Bonuses: +1 for its casual approach to tackling deep and life altering situations. Penalties: -1 for being a one-shot graphic novel. I would have happily read volumes in this series.